The four Free Cities were inspired by the free cities in Game of Thrones. Pyke began as a direct homage to the Island of Pyke, but it changed drastically before the end. The other three cities are in honor of the three magic words from Army of Darkness. Each city is its own independent location, but they are usually lumped together for international purposes. 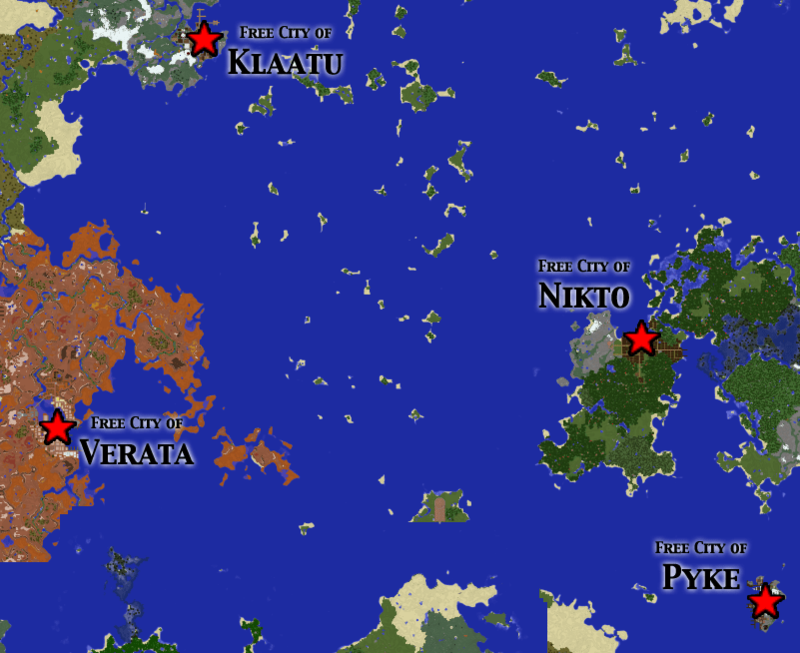 Pyke is ruled by a Baroness, Klaatu by a Grand Vizier, Verata by a Council, and Nikto by a Chancellor. The seat of government for the Alliance is the Ministry Hall, located in Verata.